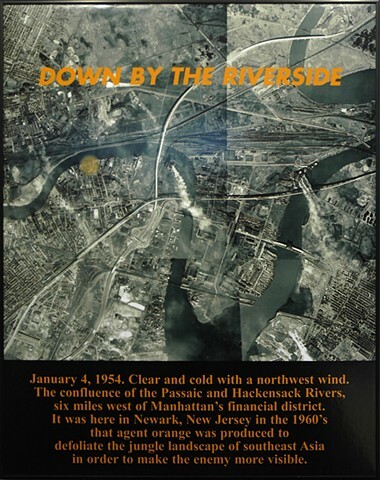 Return of The Bald Eagle Press produced outdoor signworks, billboards, posters, prints, postcards, bookworks and broadsides using traditional and digital media engaging the politics and poetics of the embattled Hackensack River Valley in northern New Jersey. 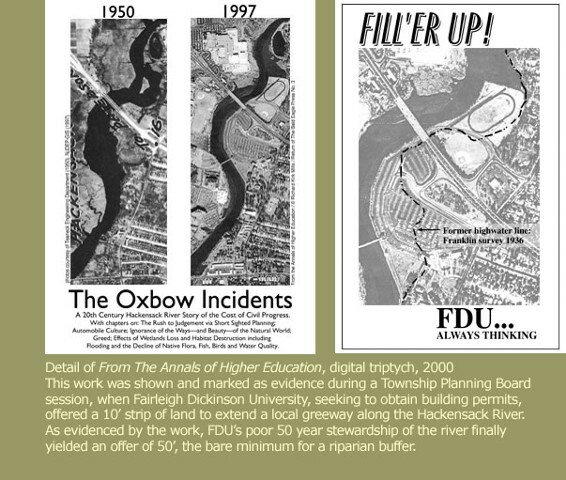 The Hackensack, according to American Rivers, was one of the nations twelve most threatened rivers in 2001. It courses from Rockland county, NY to Newark Bay through the New Jersey meadows, a 21,000 acre wetland now developed down to one third of its original size.